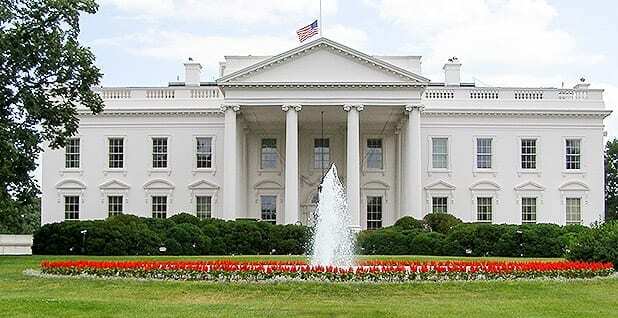 The report explains that the· Special Counsel and his staff thoroughly investigated allegations that members of the presidential campaign of Donald J. Trump, and others associated with it, conspired with the Russian government in its efforts to interfere in the 2016 U.S. presidential election, or sought to obstruct the related federal investigations. In the report, the Special Counsel noted that, in completing his investigation, he employed 19 lawyers who were assisted by a team of approximately 40 FBI agents, intelligence analysts, forensic accountants, and other professional staff. The Special Counsel issued more than 2,800 subpoenas, executed nearly 500 search warrants, obtained more than 230 orders for communication records, issued almost 50 orders authorizing use of pen registers, made 13 requests to foreign governments for evidence, and interviewed approximately 500 witnesses. The second element involved the Russian government's efforts to conduct computer hacking operations designed to gather and disseminate information to influence the election. The Special Counsel found that Russian government actors successfully hacked into computers and obtained emails from persons affiliated with the Clinton campaign and Democratic Party organizations, and publicly disseminated those materials through various intermediaries, including WikiLeaks. Based on these activities, the Special Counsel brought criminal charges against a number of Russian military officers for conspiring to hack into computers in the United States for purposes of influencing the election. But as noted above, the Special Counsel did not find that the Trump campaign, or anyone associated with it, conspired or coordinated with the Russian government in these efforts, despite multiple. offers from Russian-affiliated individuals to assist the Trump campaign. Obstruction of Justice. The report's second part addresses a number of actions by the President - most of which have been the subject of public reporting - that the Special Counsel investigated as potentially raising obstruction-of-justice concerns. After making a "thorough factual investigation" into these matters, the Special Counsel considered whether to evaluate the conduct under Department standards governing prosecution and declination decisions but ultimately determined not to make a traditional prosecutorial judgment. The Special Counsel therefore did not draw a conclusion - one way or the other - as to whether the examined conduct constituted obstruction. 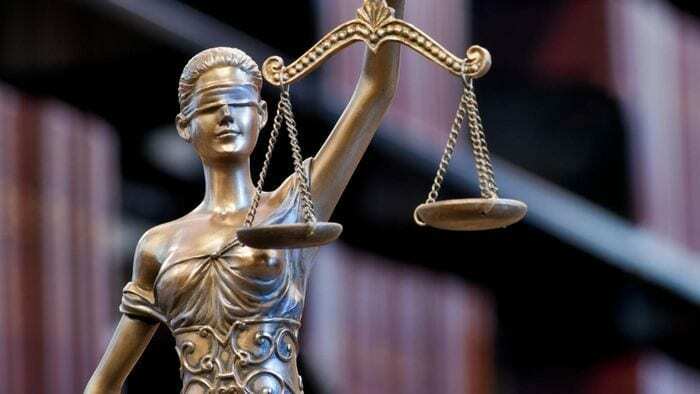 Instead, for each of the relevant actions investigated, the report sets out evidence on both sides of the question and leaves unresolved what the Special Counsel views as "difficult issues" of law and fact concerning whether the President's actions and intent could be viewed as obstruction. . The Special Counsel states that "while this report does not conclude that· the President committed a crime, it also does not exonerate him." In making this determination, we noted that the Special Counsel recognized that "the evidence does not establish that the President was involved in an underlying crime related to Russian election interference," and that, while not determinative, the absence of such evidence bears upon the President's intent with respect to obstruction. Generally speaking, to obtain and sustain an obstruction conviction, the government would need to prove beyond a reasonable doubt that a person, acting with corrupt intent, engaged in obstructive conduct with a sufficient nexus to a pending or contemplated proceeding. In cataloguing the President's actions, many of which took place in public view, the report identifies no actions that, in our judgment, constitute obstructive conduct, had a nexus to a pending or contemplated proceeding, and were done with corrupt intent, each of which, under the Department's principles of federal prosecution guiding charging decisions, would need to be proven beyond a reasonable doubt to establish an obstruction-of­ justice offense. 401(3). 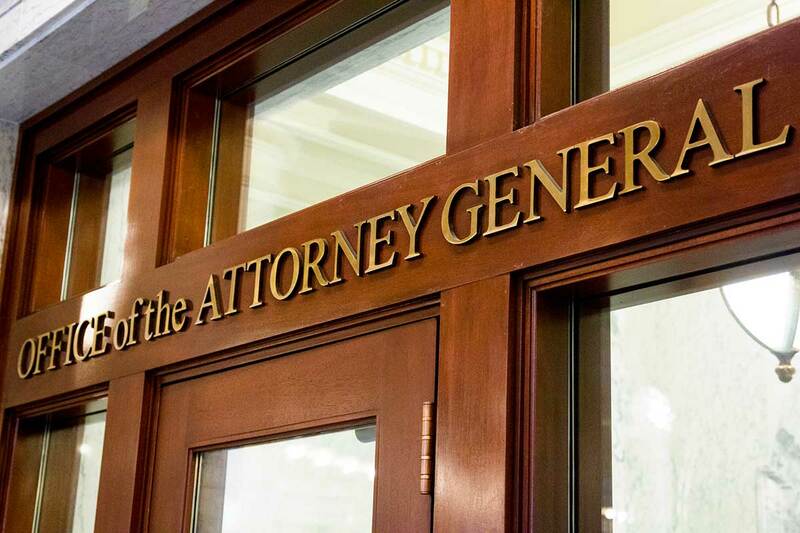 This restriction protects the integrity of grand jury proceedings and ensures that the unique and invaluable investigative powers of . a grand jury are used strictly for their intended criminal justice function. Given these restrictions, the schedule for processing the report depends in part on how quickly the Department can identify the 6(e) material that by law cannot be made public. I have requested the assistance of the Special Counsel in identifying all 6(e) information contained in the report as quickly as possible. Separately, I also must identify any information that could impact other ongoing matters, including those that the Special Counsel has referred to other offices. As soon as that process is complete, I will be in a position to move forward expeditiously in determining what can be released iri light of applicable law, regulations, and Departmental policies. As I observed in my initial notification, the Special Counsel regulations provide that "the Attorney General may determine that public release of' notifications to your respective Committees "would be in the public interest." 28 C.F.R. § 600.9(c). I have so determined, and I will disclose this letter to the public after delivering it to you. 1 In assessing potential conspiracy charges, the Special Counsel also considered whether members of the Trump campaign "coordinated" with Russian election interference activities. The Special Counsel defined "coordination" as an "agreement-tacit or express-between the Trump Campaign and the Russian government on election interference." 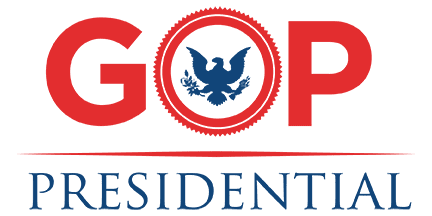 The Re­pub­li­can Party has a se­cret weapon for 2020. It’s es­pe­cially ef­fec­tive be­cause it’s stealthy: The De­moc­rats seem obliv­i­ous to its power. And the GOP needn’t lift a fin­ger for it to work. All Re­pub­li­cans have to do is sit back and watch 29-year-old Rep. Alexan­dria Oca­sio-Cortez . . . ex­ist. AOC, as she’s bet­ter known, to­day ex­ists largely in front of the cam­eras. In a few months she’s gone from an un­known New York bar­tender to the de­mo­c­ra­tic so­cial­ist dar­ling of the left and its me­dia hordes. Her mega­phone is so loud that she ri­vals Speaker Nancy Pelosi as the face of the De­mo­c­ra­tic Party. Re­pub­li­cans don’t know whether to ap­plaud or laugh. Most do both. For them, what’s not to love? She’s set off a frat­ri­ci­dal war on the left, with her chief of staff, Saikat Chakrabarti, this week slam­ming the “rad­i­cal con­ser­v­a-tives” among the De­moc­rats hold­ing the party “hostage.” She’s made friends with Je­remy Cor­byn, leader of Britain’s Labour Party, who has been ac­cused of anti-Semi­tism. She’s called the Amer­i­can sys­tem of wealth cre­ation “im­moral” and be­lieves gov­ern­ment has a duty to pro­vide “eco­nomic se­cu­rity” to peo­ple who are “un­will­ing to work.” As a rep­re­sen­ta­tive of New York, she’s mak­ing Cal­i­for­nia look sen­si­ble. On Thurs­day Ms. Oca­sio-Cortez un­veiled her vaunted Green New Deal, com­plete with the de­tails of how De­moc­rats plan to reach cli­mate nir­vana in a mere 10 years. It came in the form of a res­o­lu­tion, spon­sored in the Sen­ate by Mass­achusetts’ Ed­ward Markey, on which AOC is de­ter-mined to force a full House vote. That means every De­mo­c­rat in Wash­ing­ton will get to go on the record in fa­vor of abol­ish­ing air travel, out­law­ing steaks, forc­ing all Amer­i­can home­own­ers to retro­fit their houses, putting every miner, oil rig­ger, live­stock rancher and gas-sta­tion at­ten-dant out of a job, and spend­ing tril­lions and tril­lions more tax money. Oh, also for gov­ern­ment-run health care, which is some-how a pre­req­ui­site for a clean econ­omy. It’s a GOP dream, es­pe­cially be­cause the me­dia pre­sented her plan with a straight face—as a le­git­i­mate pro­posal from a le­git­i­mate leader in the De­mo­c­ra-tic Party. Re­pub­li­cans are thrilled to treat it that way in the march to 2020, as their set-piece ex­am­ple of what De­moc­rats would do to the econ­omy and av­er­age Amer­i­cans if given con­trol. The Green New Deal en­cap­su­lates every­thing Amer­i-cans fear from gov­ern­ment, all in one bonkers res­o­lu­tion. It is for starters, a mas­sive plan for the gov­ern­ment to take over and mi­cro­man­age much the econ­omy. Take the cen­tral plank, its dik­tat of pro­duc­ing 100% of U.S. elec­tric­ity “through clean, re­new­able, and zero-emis­sion en­ergy sources” by 2030. As Ron Bai­ley at Rea­son has noted, a 2015 plan from Stan­ford en­vi­sion­ing the goal called for the in­stal­la­tion of 154,000 off­shore wind tur-bines, 335,000 on­shore wind tur­bines, 75 mil­lion res­i­den­tial pho­to­voltaic (so­lar) sys­tems, 2.75 mil­lion com­mer­cial so­lar sys­tems, and 46,000 util­ity-scale so­lar fa­cil­i­ties. AOC has been clear it will be gov­ern­ment build­ing all this, not the pri­vate sec­tor. 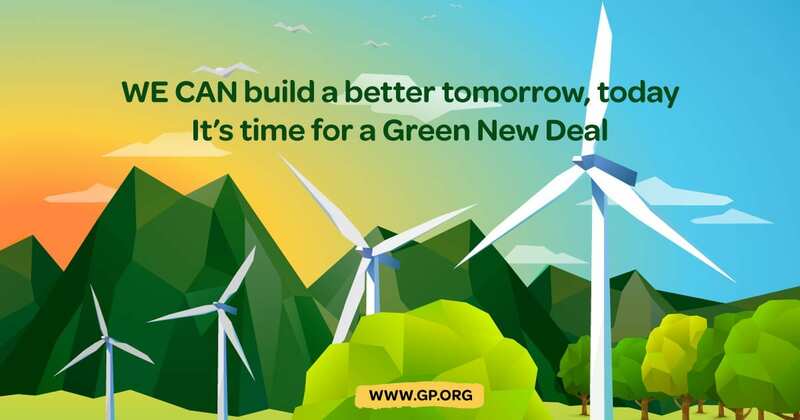 Buried in the de­tails, the Green New Deal also promises gov­ern­ment con­trol of the most fun­da­men­tal as­pects of pri­vate life. The fact sheet ex­plains why the res­o­lu­tion doesn’t call for “ban­ning fos­sil fu­els” or for “zero” emis­sions across the en­tire econ­omy—at least at first. It’s be­cause “we aren’t sure that we’ll be able to fully get rid of fart­ing cows and air­planes that fast” (em­pha­sis mine). This is an ac­knowl­edg­ment that planes don’t run on any­thing but fos­sil fuel. No jet fuel, no trips to see granny. It’s also an ac­knowl-edg­ment that live­stock pro­duce meth­ane, which has led cli­mate alarmists to en­gage in “meat­less Mon­days.” AOC may not prove able to erad­i­cate “fully” every fam­ily Christ­mas or strip of ba­con in a decade, but that’s the goal. Fi­nally, the res­o­lu­tion is De­mo­c­ra­tic math at its best. It leaves out a price tag, and is equally vague on what kind of taxes would be needed to cover the cost. But it would run to tens of tril­lions of dol­lars. The fact sheet as­serts the cost shouldn’t worry any­one, since the Fed­eral Re­serve can just “ex­tend credit” to these projects! And “new pub­lic banks can be cre­ated to ex­tend credit,” too! And Amer­i-cans will get lots of “shared pros­per­ity” from their “in­vest-ments.” À la Solyn­dra. At least some De­moc­rats seem to be aware of what a dan­ger this is, which is why Ms. Pelosi threw some cold wa­ter on the Green New Deal this week. They should be scared. Ms. Oca­sio-Cortez is a freight train gain­ing speed by the day—and help­ing Re­pub­li­cans with every pass­ing minute. The Supreme Court and federal judges will be far more conservative for a generation — as Trump’s judicial nominations are uniformly conservative, mostly young and well qualified. But what has changed is the media’s own reputation in its hysterical reaction to Trump. Instead of empirical reporting, the networks and press have become unhinged. Since 2016, polls show that Americans have assumed that the proverbial mainstream media cannot be counted on for honest reporting but will omit, twist and massage facts and evidence for the higher “truth” of neutralizing the Trump presidency. Trump’s popularity is about where it was when he was elected — ranging on average from the low to mid-forties. But many of his policies have led to more prosperity and address festering problems abroad. The future of Brexit, England’s historic divorce from the European Union, hangs in a precarious balance. Last week, British Prime Minister Theresa May’s Brexit plan failed miserably when put to a vote in the British Parliament. May’s “soft exit” proposal failed by a whopping 230 votes, prompting many to predict that May’s tenure as prime minister was officially doomed. However, the next day, members of Britain’s labor party failed to mount a no-confidence vote, which would have challenged her continued leadership. As things stand, May remains the leader, and Britain remains committed to exiting the European Union. But the stakes for all involved just got higher. At issue is the reality that a significant portion of the British GDP — approximately 12 percent — comes from trade with the EU. 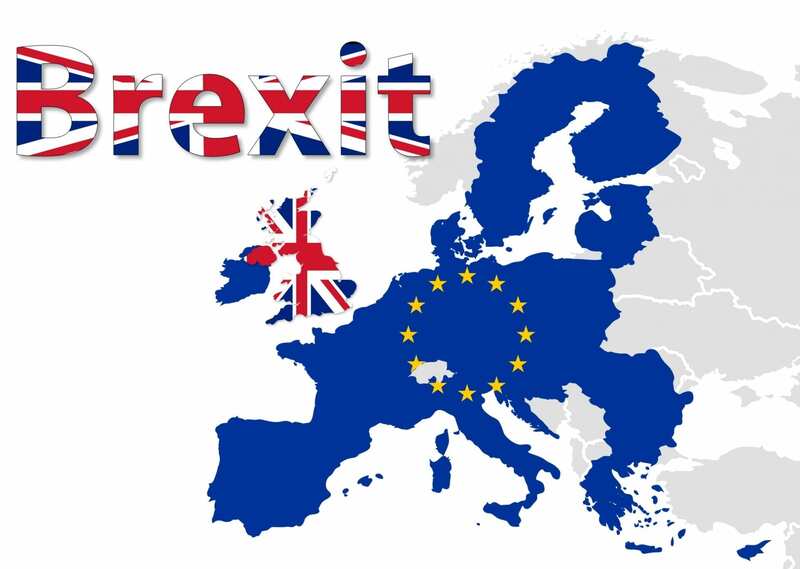 Britain, having invoked Article 50, has until late March to negotiate a deal to leave the union or face a “hard exit,” which would essentially cut Britain off from all trade within the EU. At stake for the United States is our own trading relationship with the EU and, perhaps more importantly, our ongoing “special relationship” with Great Britain. At this point, the U.S. has signaled that it is ready to enter into a beneficial bilateral trade, relationship with Britain, which makes sense, after all. The U.S. is already Britain’s most significant trading partner. Many U.S. nationals work at British companies and vice versa. Investments between the countries amount to an estimated $1 trillion. There is, however, more to the special relationship than the economic benefits of trade. England has been America’s primary contact with the EU, facilitating America’s priorities vis-a-vis Europe and NATO. Part of Britain’s discomfort with the EU’s structure was Germany’s ascendance as Europe’s most important economic and political power. England has longstanding antagonism toward Germany, dating back to World War I, and German excesses in World War II are still on the minds of many Britons, who do not want to live under Germany’s shadow. As England continues to attempt to gracefully leave the EU, the U.S. will have to develop other allies within the union, which will potentially diminish Britain’s influence upon the U.S. with respect to European affairs. Some U.S. political conservatives fear that Britain leaving the EU provides an opening for antagonistic forces such as Russia, which has been courting many of the Southern and Eastern European nations with access to Russia’s vast natural resources. It also remains to be seen whether the EU can even survive in its current state without a strong Britain anchoring it to a pro-West stance. Trade, however, remains the big ape in the room. While a considerable amount of Britain’s trade is with the EU, the growth of this trade has averaged about 1 percent over the past five years, while British trade with the rest of the world has rapidly expanded. Once unfettered from the EU, Britain has the leverage to make even more substantive bilateral and (in some cases) multilateral trade deals with the world’s emerging economies. As things stand today, the World Trade Organization rules are facing a brave new world. The EU’s technocratic, rigid and red tape-laden trading policies are ill-suited for a rapidly evolving global economy. The WTO dispute resolution mechanism, on the other hand, is woefully inadequate to protect intellectual property or the rising tide of protectionism, especially given China’s volatile trade policies. Furthermore, most of the trading policies adopted by both the U.S. and Britain do not directly punish countries that refuse to open their economies to goods coming from the two countries. President Donald Trump as already drastically reoriented U.S. trading policies to force its largest trading partners — China, Canada and Mexico — to open their economies to U.S. goods and services or face significant reciprocal trade barriers. Despite heavy criticism from both Democrats and Republicans, evidence shows the Trump’s trade policy is moving the process along in terms of forcing China to come to the table to make a better deal. At the end of the day, Britain leaving the EU is about expressing the democratic will of the British people, who voted to leave the union. As one of the world’s oldest democracies, Britain is showing the world that the elites in government should not decide matters of national concern; the will of the people should dictate how they are governed. Europe’s technocratic centralized administration proved to be not only ineffective in staving off economic crises — its intended purpose — but impervious to the democratic instincts of the European people. The U.S. is facing similar tension, with Americans largely rejecting centralized government control and overregulation and seeking to instead vest more power in local governments. The Trump administration has already eliminated more tedious pieces of regulation in its first two years than any other president in recent history. The soaring U.S. economy is seen as proof that unfettering businesses and citizens and allowing them to act in their own economic interests is a potentially powerful tool for economic progress. With growth rates in Europe stagnating around 2 percent, England is right to question whether it is in its best interests to remain within the union. The U.S. can support Britain by continuing its robust trade and investment relationship and by leading by example. “First of all, calling me a liar, fighting words, it’s not appropriate, it’s not professional, it’s not accurate,” Nielsen said of her exchange with Democratic Rep. Luis Gutierrez. “So, I think my whole exchange, I say I found to be offensive but mostly offensive on behalf of — again, 240,000 men and women who get up every day to enforce the law. The law says, if you come here illegally, it’s a crime. That’s what we did. We tried to enforce the law,” Nielsen told FOX News host Shannon Bream. SHANNON BREAM, FOX NEWS: Well, few know more about the policies like the new one announced by DHS on immigrants seeking asylum or the border wall, than Homeland Security Secretary Kirstjen Nielsen. She joins us now on this very critical day for the president’s immigration policies. Madam Secretary, great to have you with this. 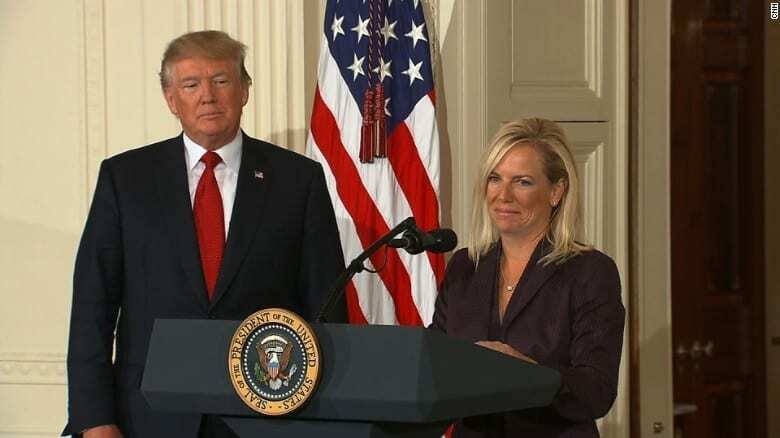 KIRSTJEN NIELSEN, HOMELAND SECURITY SECRETARY: Great to see you. BREAM: — while there asylum is pending here in the U.S.
NIELSEN: That’s exactly right. It will do a couple of things. One, it will decrease immigration, which is what we have been trying to do. Two, it will help us focus on those who have a legitimate claim. Three, it will reduce those that don’t because what we can find, as you know, one of their biggest concerns is we’ve had a 3,000 percent increase in asylum claims and, unfortunately, only one and ten are actually granted asylum. So, this will help reduce data and let us focus on those who need it, but reduce the overall illegal flow. BREAM: OK. So, reading a little bit about concerns about how this will work in Mexico, the logistics there. “The Washington Post” has a piece saying: because asylum cases can drag on for months or years, it’s unclear how migrants would remain safe with access to food and shelter, or how they would access legal services. It also remains unclear how Mexico will sell the deal to a domestic audience which has resisted the idea of embracing tens of thousands of Central American migrants. Also in that piece, “Washington Post”, they say this: Adam Isaacson, a border security analyst at the Washington office on Latin America says: Wait times for asylum hearing are now routinely exceeding 1,200 days. That’s three years. Is Mexico really prepared to host hundreds of thousands of people for that long while they wait for overworked U.S. asylum judges to get to these people’s cases? NIELSEN: So, what we did was we took this as unilateral action, as you know, under statutory authority. But, of course, we let the Mexicans know we were going to do it and we’ve been having discussions for quite some time. So, in return, they’re offering shelter, they’re offering education, they’re offering medical care. They also, by the way, are offering asylum. And this is important because, again, for those who really need asylum, we encourage them to do it as soon as possible in that journey. They are also offering work permits and in some cases, very specific jobs, about 20,000 job offers that they collected and offered. So, what we expect that the numbers will actually go down substantially because you need asylum, you can get it in Mexico. If you need a job, you can get a job. So, we are really talking only about a very small portion who will continue to feel that they need to get asylum in the United States. BREAM: Because this was a unilateral action, how confident are you in their ability and their willingness to do this long term when we are talking about years of a wait for people? NIELSEN: Yes. So the next up, of course, is more legal paperwork. So, we’ll work on a technical agreement with them, but we have our teams working on that now. I’m very optimistic. They take human rights very, very seriously. They take protection of migrants very, very seriously. That is why we are calling it “The Migrant Protection Plan” on our side. So, we will work together to make sure that those are abided by. BREAM: Is any of this in concert with a $10.6 billion in aid packages announced earlier this week through, I believe, the State Department helping Central America and some specific portions of Mexico as well? Is that part of the sweetening the pot for them that they would want to help on an arrangement like this? NIELSEN: Yes, I think the aid is something that President Lopez Obrador campaigned on, something he feels very strongly about. It’s something that we’ve been talking to the Mexicans and Central Americans about for a quite some time because as we reduce the pull factors in the United States, we also want to reduce the push factors there — so, to help stabilize. So, they are happening at the same time. But they’re both part of larger conversations we’ve been having for quite some time. BREAM: OK. So, this is just the latest rounded what has been going on at the border. I mean, for months, there have been tensions there, there have been all kinds of events that we’ll talk about but the president has talked about wanting this to be a tougher crackdown on immigration, illegal immigration in the border. BREAM: Here’s what he told our Chris Wallace. CHRIS WALLACE, FOX NEWS ANCHOR: Are you happy with Kirstjen Nielsen at DHS? DONALD TRUMP, PRESIDENT OF THE UNITED STATES: Well, I like her a lot, I respect her a lot, she’s very smart. I want her to get much tougher and we’ll see what happens there. But I want to be extremely tough. BREAM: Is this part of the getting tougher? How’s the relationship now? NIELSEN: Well, first of all, this is not something that happened overnight. So, this is something that I’ve been working very hard on for a very long time, most of the time that I’ve been secretary of DHS. But the president and I have a great relationship. Look, he’s making it clear every day, he will protect Americans, he will secure the border, and he wants to make sure that we all do everything we can to do just that. BREAM: OK. You know there will be legal challenges to this. There have been to any number of things this administration has done. We are waiting on numerous fronts, a number of different legal venues and courts that are ruling. We have a ruling out of a federal judge here in D.C., Judge Sullivan, who was pushing back on this idea that people cannot come here saying they fear gang violence or domestic violence. He said that violates the law and you are going to have to take those people. NIELSEN: So, we are reviewing that court case. What that was, was that was a case that former attorney general took, basically was a matter of A.B. (ph) is the one that he’s talking about. But this goes to the heart of asylum. Asylum is a discretionary grant and it’s made to be made one by one. So, we should review one by one. So, what the attorney general in that case was trying to reverse is giving groups asylum based on a claim. Now there is a particular social group that is one of the five reasons for asylum. So, if you qualify there, you qualify there. But when it comes to those particular issues that were raised in that case, he was suggesting, let’s look at them one by one and make sure they meet the law. BREAM: OK. So, let’s talk about the wall itself. Obviously, it is the center of a contentious, raging battle on Capitol Hill over funding and whether or not it’s going to trigger a government shutdown. But you know there are critics on the right who think the president is not standing up to something that he said repeatedly during the campaign that he would do, which is get this wall built, it’s going to be a physical, it’s going to happen. “Breitbart” writing this: The big, beautiful border promise during the 2016 campaign is being built as a see-through barrier of seal slats. They point to the president’s descriptions of that. They go on and call it Trump’s concession and rhetorical turnaround. It comes after Hill Democrats use their leverage on the business first leadership of the GOP and among Trump’s Hill outreach deputies to repeatedly block construction of his favorite concrete wall. Has a wall change? Is the president making a concession? How would you characterize it? NIELSEN: First of all, I would say walls work. We know they do. We’ve seen it in San Diego. We’ve seen in (INAUDIBLE). Everywhere we have that physical infrastructure, we see illegal immigration dropped by 95 percent. The president will continue to advocate for what the men and women of the border patrol say they need. And this is what it is. It’s a physical infrastructure along with the technology and personnel that go to it. Important thing to understand as there is 2,000 miles of border. So, what we need in one location is not the same as what we needed another location. In fact, we have a floating wall. We would not need that and other places. Some places, we have a levee wall. So, the wall isn’t changed, it’s just going to meet the operational requirements as described and articulated by the Border Patrol agents and that’s what the president continues to advocate for. We’ve got to get the wall done. BREAM: OK. Much more to discuss. Stick around. Thank you for the first portion, but we’re going to have a whole lot more with the secretary. We’ll be right back. BREAM: We are back now with Homeland Security Secretary Kirstjen Nielsen. She joins us on this very critical day for the president’s immigration policies. And you saw there, Madam Secretary, we’re just discussing the case in California where somebody had been deported multiple times, had numerous criminal allegations in the past — firearms, drugs, violence, all kinds of things, not held on an ICE detainer because the law enforcement officials there in California say they can’t because of century city policies, gets out, wreaks havoc. NIELSEN: You know, this is — actually, this is a particular issue that’s of great concern to both the president and Department of Homeland Security. We actually are the largest federal law enforcement agency in our country. We have thousands and thousands of sworn officers. This concept of cities pitting federal law enforcement against state and law enforcement is not — not only puts the safety and security of our officers, our officers at risk, but the communities themselves that they are trying to serve. Sanctuary cities is an example of a misunderstanding of what it means to cooperate with the federal government. In this case, all we ask is that when you are releasing a convicted criminal, you let us know. We will then come pick them up in a secure and safe area, we will not put the community at risk, we’ll not put the officers at risk and then we will be able to do our job. So, there’s — it’s a misunderstanding but it’s turned into a political fight. I hope that we can continue to work with state and local governments to work through this. But it is vital that law enforcement be able to work with law enforcement. BREAM: OK. So, let’s talk about the case of 7-year-old Jakelin Caal. It’s captured headlines. Everyone seems horrified across the board about the fact that this young girl died. Now, there were reports that her father told the Guatemalan consulate, he has a very specific native dialect. I mean, Spanish is not his first language. But he said to the consul that he thanks the officials who help them, he wanted to think that first responders, he thought at least according to the consul that everything that could be done was done for her despite her passing. There are number of attorneys now who have stepped up and have said that they are representing this family and they have questions. That includes one of them, the attorney Enrique Moreno, he says, they said that Jakelin and her dad were not given water during the roughly eight hours they were detained at the Antelope Wells port of entry waiting to be taken to the Border Patrol station. He says the attorney that he doesn’t understand why Jakelin, whose father said she was sick and vomiting, wasn’t examined before she was taken on a bus from New Mexico to Antelope Wells port of entry to the Border Patrol station about 90 miles away. NIELSEN: So, I can speak to that but I can tell you is that the father told our agents on the scene. Unfortunately, that this was part of a large group, about 160 migrants. They approached the border in the middle of the night, unfortunately in the middle of nowhere. We have three Border Patrol agents who were able to apprehend them. I should pause and say, we saved 4,200 migrants each year because often the border patrol might not be there as they make this journey, in this case, the middle of nowhere. So, what we do know is when the father’s first spoke to the agents, he did not indicate, he said there was nothing wrong. Food and water was provided. Then later, we had two busloads, because keep in mind, this is 90 miles from any infrastructure. So, the first one that went was UACs. That’s our protocol, we take care of them first. This child was with her father, who did not indicate there was any distress. Once the child got on the bus, he did indicate that she was vomiting. Then the Border Patrol agent did everything they could to take care of her. They got her as quickly as possible to an area where she could receive medical care, actually revived her twice. They enable the father to get to the hospital. He didn’t fit into the air flight because it was small. BREAM: As she was taken. NIELSEN: As she was taken. And, you know, I really — I commend them. It’s an extraordinary difficult job. This has had them very hard. It’s a terrible tragedy. One death is way too many. But the CBP really did everything they could to care for this child. BREAM: Can you tell us what will happen next, as far as the investigation? Who will oversee it? What kind of timeline there will be for some concrete answers? NIELSEN: Sure. So, CBP itself immediately opened up its own investigation that now has been transferred over to the inspector general for the department. So, CBP will be working with him, as will we come I do find out what we can do to strengthen procedures. But again, middle of nowhere, middle of night, no infrastructure, makes it extraordinarily difficult to give care to somebody who unfortunately in this case turned out to be very sick. BREAM: We want to ask of your reaction, word that the defense secretary is going to retire. 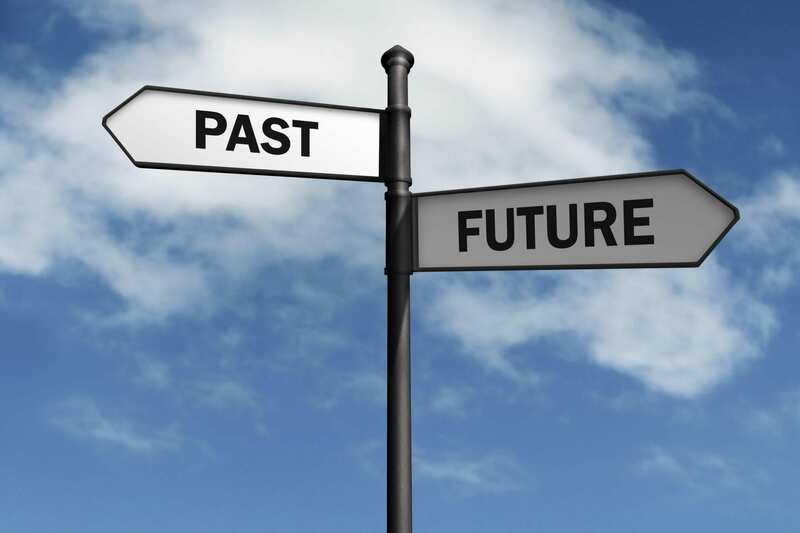 It’s common that there are changes to an administration a year or two end (ph). Can you tell us anything about your plans or reactions to his decision to leave? NIELSEN: Secretary Mattis has proven to be an incredible partner of ours. We’ve signed a monumental memorandum of agreement between our departments to work on cybersecurity together. He certainly has been very supportive of our border security mission. He helps us with our counterterrorism mission, as we look to fight the terrorist abroad so they don’t come here. So, the home game and away game, we work very closely together. I have complete admiration and respect for him and have so enjoyed working with him. BREAM: I want to ask you about something else. I mean, this headline, I’m going to be frank, it struck me as a bit sexist, from the “Washington Examiner.” It says: Nielsen expected to be forced out of DHS when protector Kelly leaves White House. They quote someone saying they don’t expect that after General Kelly departs that you would stay. That was just my initial reaction as a woman, that you would need a protector or someone to keep you safe at the White House. How do you respond to something like that? NIELSEN: Well, first of all, I’m still here, still doing my job, still doing the job that I swore an oath to do. It is a bit sexist. But you know, I find this fascination with all the politics at the White House and intrigue to just be disappointing, because there’s a lot of work we have to do at DHS. We have 240,000 men and women every day wake up to secure this country. So, I will continue to support them and continue to secure the homeland. BREAM: And part of your job is being on the Hill. I want to play a little bit of what Congressman Gutierrez had today talking about shame on everybody who was doing anything to separate children and families and give you a chance to respond. Here’s what he said today. REP. LUIS GUTIERREZ (D), ILLINOIS: Shame on everybody that separates children and allows them to stay at the other side of the border fearing death, fearing hunger, fearing sickness. Shame on us for wearing our badge of Christianity during Christmas and allow the secretary to come here and lie. NIELSEN: Well, I think I said in the hearing — first of all, calling me a liar, fighting words, it’s not appropriate, it’s not professional, it’s not accurate. But, secondly, again, we had no policy to separate families to the extent that parents were separated from children, just as in the Obama administration, just as in the administration before, happens in three instances, when the child welfare is at risk, secondly, if the parent has committed a crime, needs to be taken to a criminal area where we wouldn’t want to take a child, or it’s a person who is not related to the child, which unfortunately we have. We’ve had a great increase in fraud because they know if they grab a kid, in some cases, they can come to the border, the smugglers and traffickers teach you that you can get in. So, I think my whole exchange, I say I found to be offensive but mostly offensive on behalf of — again, 240,000 men and women who get up every day to enforce the law. The law says, if you come here illegally, it’s a crime. That’s what we did. We tried to enforce the law. BREAM: Well, we know that many of them are on the front line spacing dangerous situations every day and they do this willingly. So, we thank those who are willing to come up and serve their country in that way. I have been privileged to serve as our country’s 26th Secretary of Defense which has allowed me to serve alongside our men and women of the Department in defense of our citizens and our ideals. I am proud of the progress that has been made over the past two years on some of the key goals articulated in our National Defense Strategy: putting the Department on a more sound budgetary footing, improving readiness and lethality in our forces, and reforming the Department’s business practices for greater performance. Our troops continue to provide the capabilities needed to prevail in conflict and sustain strong U.S. global influence. One core belief I have always held is that our strength as a nation is inextricably linked to the strength of our unique and comprehensive system of alliances and partnerships. While the US remains the indispensable nation in the free world, we cannot protect our interests or serve that role effectively without maintaining strong alliances and showing respect to those allies. Like you, I have said from the beginning that the armed forces of the United States should not be the policeman of the world. Instead, we must use all tools of American power to provide for the common defense, including providing effective leadership to our alliances. NATO’s 29 democracies demonstrated that strength in their commitment to fighting alongside us following the 9-11 attack on America. The Defeat-ISIS coalition of 74 nations is further proof. Similarly, I believe we must be resolute and unambiguous in our approach to those countries whose strategic interests are increasingly in tension with ours. It is clear that China and Russia, for example, want to shape a world consistent with their authoritarian model – gaining veto authority over other nations’ economic, diplomatic, and security decisions — to promote their own interests at the expense of their neighbors, America and our allies. That is why we must use all the tools of American power to provide for the common defense. Because you have the right to have a Secretary of Defense whose views are better aligned with yours on these and other subjects, I believe it is right for me to step down from my position. The end date for my tenure is February 28, 2019, a date that should allow sufficient time for a successor to be nominated and confirmed as well as to make sure the Department’s interests are properly articulated and protected at upcoming events to include Congressional posture hearings and the NATO Defense Ministerial meeting in February. Further, that a full transition to a new Secretary of Defense occurs well in advance of the transition of Chairman of the Joint Chiefs of Staff in September in order to ensure stability within the Department. I pledge my full effort to a smooth transition that ensures the needs and interests of the 2.15 million Service Members and 732,079 DoD civilians receive undistracted attention of the Department at all times so that they can fulfill their critical, round-the-clock mission to protect the American people. 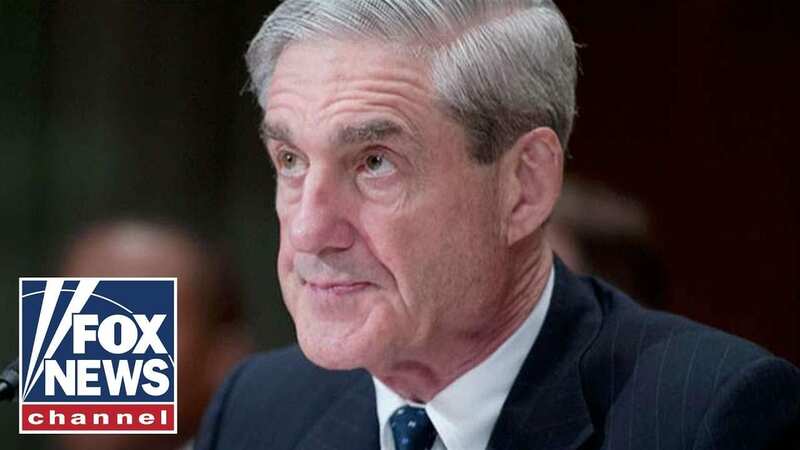 President of Judicial Watch speaks on Mueller Report and its ” conclusion”…………. Supreme Court nominee Judge Brett Kavanaugh delivers opening statement before Senate Judiciary Committee. U.S. Supreme Court nominee Brett Kavanaugh testifies before a Senate Judiciary Committee confirmation hearing on Capitol Hill, Washington, U.S., Sept. 27. Had he not been as forceful, his opponents would have said he looked guilty. Because he called the Democrats out for their character assassination, the critics now say he lacks the right temperament. The truth is that there is no answer, and no demeanor, that Brett Kavanaugh could offer that the left would credit. Their goal isn’t the truth. They want to destroy Judge Kavanaugh. Republican Senators turned over their questioning of Ms. Ford to a trained prosecutor from Arizona, who attempted to clarify facts and fill holes in her testimony. Democrats showed zero interest in getting any facts from Ms. Ford. They spent their question time saying they believed Ms. Ford while badgering Republican Chairman Chuck Grassley to call other witnesses. Yet those potential witnesses have all given sworn statements to Senate staff under penalty of felony that say they don’t recall the party or the alleged assault. Hauling them before the Senate wouldn’t illuminate the truth any more than Thursday’s hearing did. Incredibly, Democrats spent their time with Judge Kavanaugh asking about drinking games and lines in his high school yearbook. Once Senator Lindsey Graham made that look foolish (see below), Democrats focused on their only other argument, which is that the FBI should investigate. But they well know the FBI would merely repeat the interviews they and the Senate Judiciary staff have already done. The real Democratic goal is to push a confirmation vote past Election Day. They can then spare their incumbents running for re-election from taking a difficult vote. If they win the election, they will then try to block any confirmation until they take over the Senate in January. No nominee to the right of Merrick Garland would then be confirmed in the final two years of the Trump Presidency. 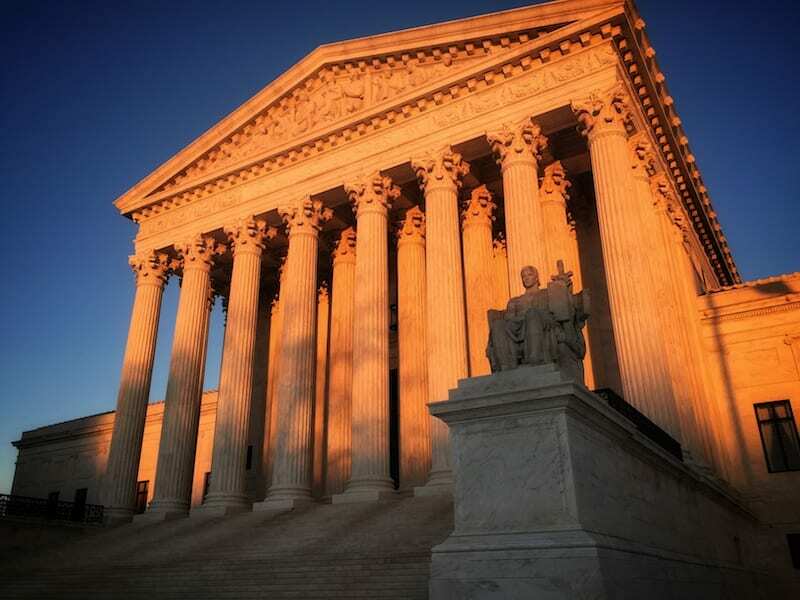 The Supreme Court would be divided 4-4 until 2021 at least. Senate Republicans should understand that these are the real political stakes. This nomination isn’t only about the fate of a single man whose reputation can be discarded like some tabloid celebrity. This is about the future of the Supreme Court and who will control the Senate. If Republicans reject Mr. Kavanaugh based on what we know now, millions of voters will rightly be furious. But as important, a rejection will bring dishonor to the Senate. It will validate the ambush and smear politics that Democrats are using. And it will turn Supreme Court nominations over to the justice of the social-media mob and the politics of accusation. It’s time for Senators to stand up and confirm Brett Kavanaugh. Appeared in the September 28, 2018, print edition.